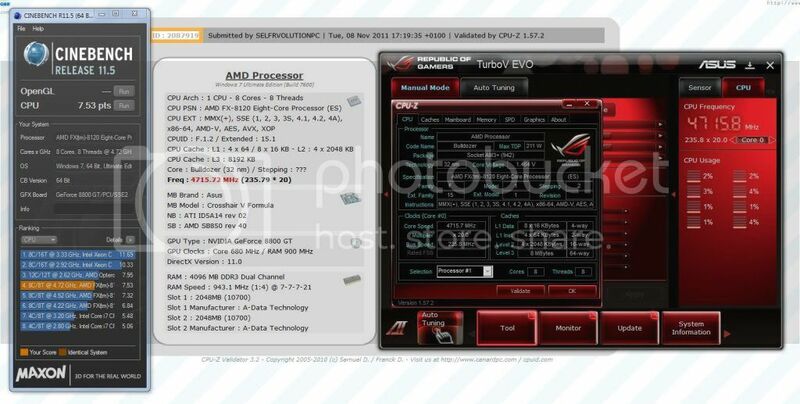 Overclocking Bulldozer series chips, how far have you pushed it? Thread: Overclocking Bulldozer series chips, how far have you pushed it? As we know by now, Bulldozer was somewhat a disappointment, but its still a very good overclocker! Everyone out there who owns a bulldozer CPU, how far did you push it? I currently have a AMD FX 4100 OC'ed to 4.1 GHz on 1.4375 volts with the Cooler Master TX3 CPU cooler running. Share how you did with these chips here! Re: Overclocking Bulldozer series chips, how far have you pushed it? 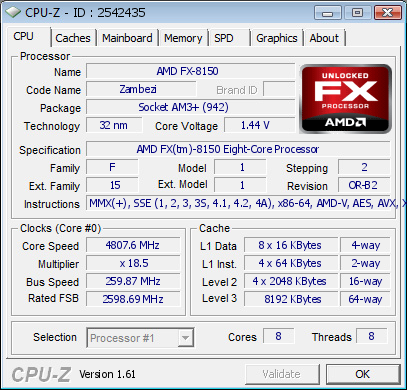 I have a FX-8120 overclocked to 4GHz currently. CPU voltage is at 1.38125 with 260MHz on the CPU Bus and a 15.5 CPU ratio. I'm currently using the Antec H2O 620 I won from here. I've yet to run a stress test for the 4GHz overlcok but I've run Prime95 for 3.5GHz. The CPU cores were at 58C max at the time during load. so far 100% stable (been running for a couple months at this speed, skyrim has no crashes, Prime95 is stable. I had it higher, but skyrim showed stability issues, so I scaled it back. Slot 1 Manufacturer : Team Group Inc.
Slot 2 Manufacturer : Team Group Inc.